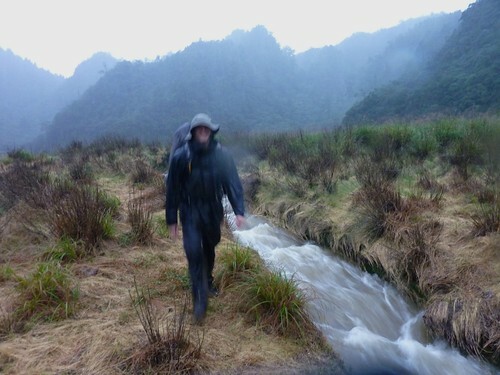 Long story short: We went hiking camping to SongLuo Hu mountain lake, near Yilan, Taiwan. 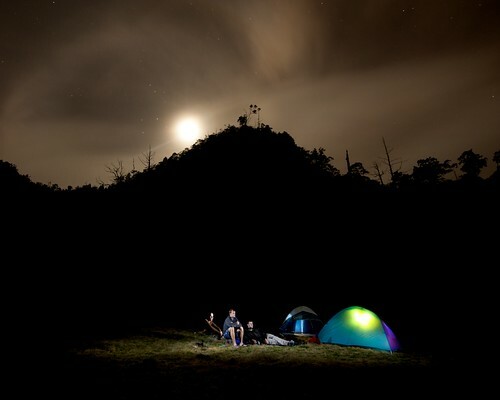 The evening was nice, but after we went to sleep, a torrential rain started coming down and the lake swelled up and nearly engulfed our tents... This picture reminds me that we can have fun, even under terrible circumstances. 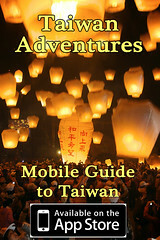 To read more about the two pictures above, go to Hiking Taiwan. 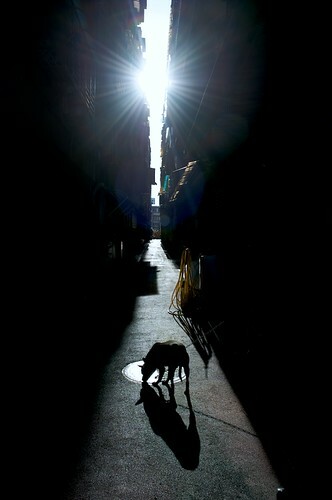 I've been wanting to shoot more in these alleyways that are all over Taipei. This one isn't really my favorite, but it's a start. 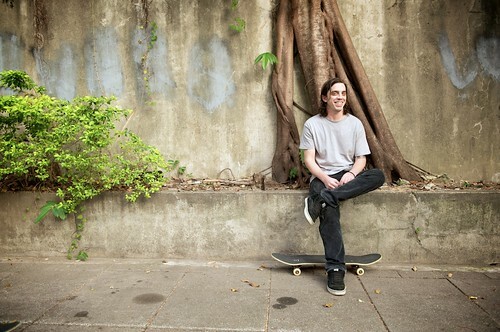 I like rolling up to the skate spot and seeing my friends sitting in nice light. Taipei, Taiwan. 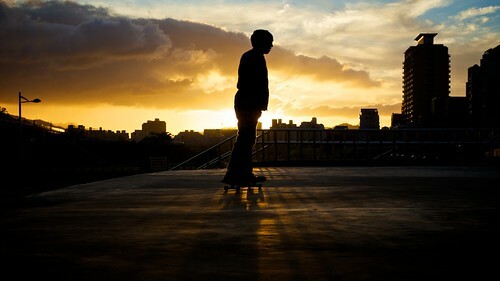 A skateboarder rolls by a nice sunset in MuZha, Taiwan. 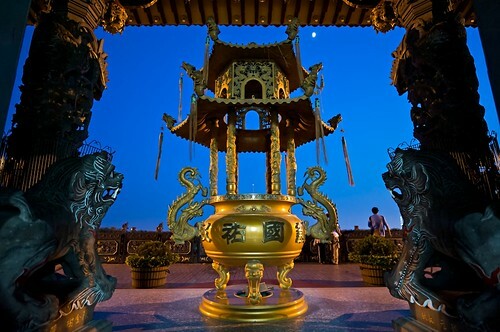 The entrance to BiShan (碧山) mountain temple just outside of Taipei, Taiwan. 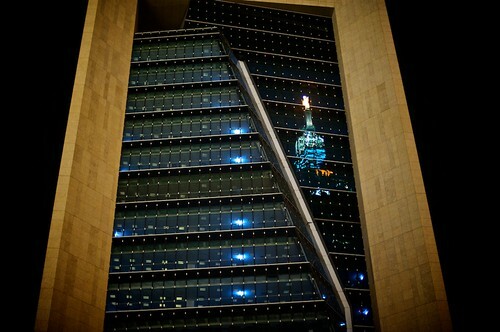 The reflection of Taipei 101 in a new building in Taipei, Taiwan. 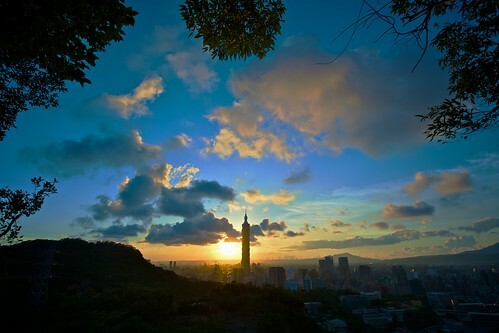 Sunset over Taipei city as seen from Lion Mountain, Taiwan. To see more of my photography, check out my portfolio and archive website. I love every single one of these photos. Good work!